down from platform to platform guessing the whole time where it will land. The CoolToys Swirling Ball Drop and Roll Play Tower includes endless ways to stimulate your child’s imagination. Meant for children 9 months and up. All products are BPA free; meaning they are completely safe for your little ones. a premiere toy brand for fun loving kids and parents who want to encourage children’s imagination! learning is through fun and when harnessing a child’s imagination the possibilities are nearly endless. We know you’ll love our new line of toys, and hope you check out our entire line of CoolToys! 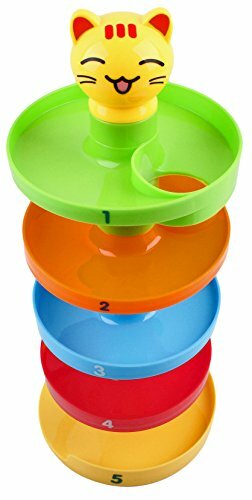 This 5 tier, multi-colored ball ramp includes three spinning acrylic activity balls that contain colorful beads and shapes for even more interactive play. Start by simply placing the ball in the top hole and watch them fall and roll through each tier. 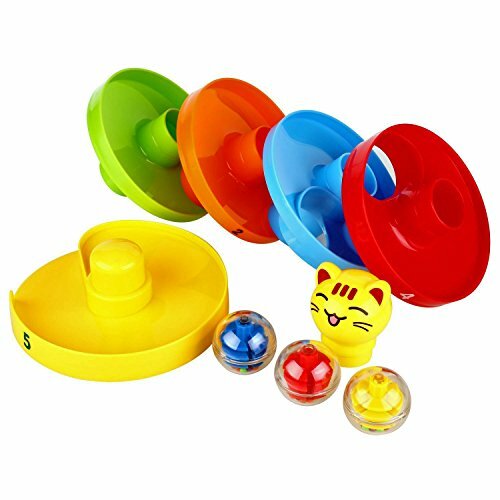 Bright colors, interactive sounds, and intricate shapes enhance fine motor skills and problem solving skills. Perfect for baby’s first educational toy! The tower is easy to assemble and breakdown, making playtime a breeze while you’re on the go. Made from high quality PVC. Ideal for children 9 months and older.